Canopy Growth Corporation has teamed up with The Brink's Company subsidiary to provide secure logistics and cash management services for Canopy Growth's domestic and international cannabis operations. The decision, announced on Thursday, will allow Canopy Growth to efficiently scale its increasingly complex logistics, the company stated in a release. "Brinks' reputation as a trusted industry leader has been earned by providing reliable secure transport services for over 90 years in Canada," said Mark Zekulin, president and co-chief executive officer of Canopy Growth. "As a cannabis producer with growing national and international needs, we are proud to enter into this agreement and look forward to working with Brink's to consistently deliver a variety of high-quality cannabis products to our retail locations and affiliates across the country." Canopy Growth's international transportation and security needs will be provided by Brink's Global Services (BGS), a Brink's subsidiary that provides secure logistics for international shipments of high-value commodities. "The cannabis industry requires at-scale security solutions in order to continue on a trend of global growth, and Brink's is uniquely positioned to provide these solutions," Brinks’ president and chief executive officer Doug Pertz stated. " We look forward to building a strong relationship with Canopy Growth as it grows throughout Canada and continues to enter new international markets." 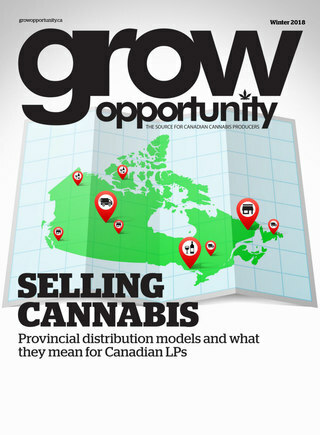 In addition to providing secure logistics and cash management services, Canopy Growth and Brink's will develop a cross-selling program that enables Brink's to provide services to Canopy Growth's affiliated growers and retail customers.